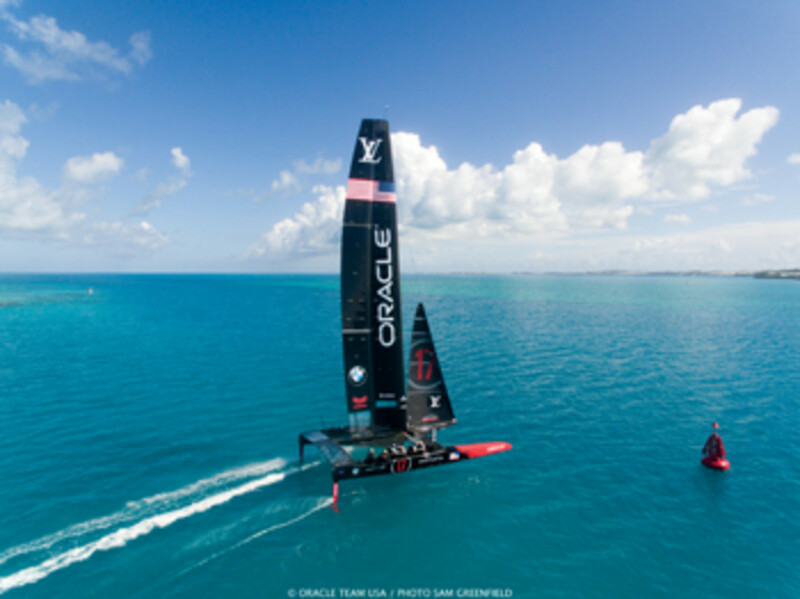 Oracle Team USA, owned by billionaire Oracle CEO and longtime yachtsman Larry Ellison, will defend the Cup as part of an event organized by the America’s Cup Event Authority. Five-time America’s Cup winner and gold-medal Olympian Russell Coutts is heading up the ACEA, while skipper Jimmy Spithill — who led Oracle Team USA to a stunning comeback victory in 2013 — will once again lead the Oracle race crew. They will race in the tradition started back in 1851, when the yacht America, sponsored by the New York Yacht Club, battled Royal Yacht Club contestants off England. But as AC34 showed just a few years ago, the present bears no resemblance to the past when it comes to racing, in large part because the boats have changed to multihull designs with hydrofoils that let them fly across the water. Today’s America’s Cup racers achieve speeds faster than 35 knots that yachtsmen a century and a half ago could not have imagined. For AC35, the racing is expected to be even faster and more exciting, and the media experience even more riveting. The action has already begun. Since 2015, the ACEA has held nine qualifying races, known as the Louis Vuitton America’s Cup World Series, in New York; Portsmouth, England (twice); Toulon, France; Fukuoka, Japan; Chicago; Oman; Gothenburg, Sweden; and Bermuda. The boats sailed were AC45Fs. (The “F” designates foiling.) More than 270 sailors participated, and more than 1.5 million people watched the races in person. Global broadcasting boosted viewership to 175 million and included celebrity guest sailors ranging from skier Lindsey Vonn to television host Stephen Colbert. 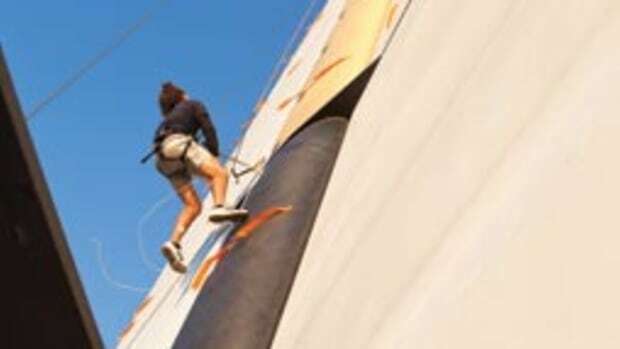 Sailing this spring will start May 26 in Bermuda, whose surrounding waters are deep, with steady winds. 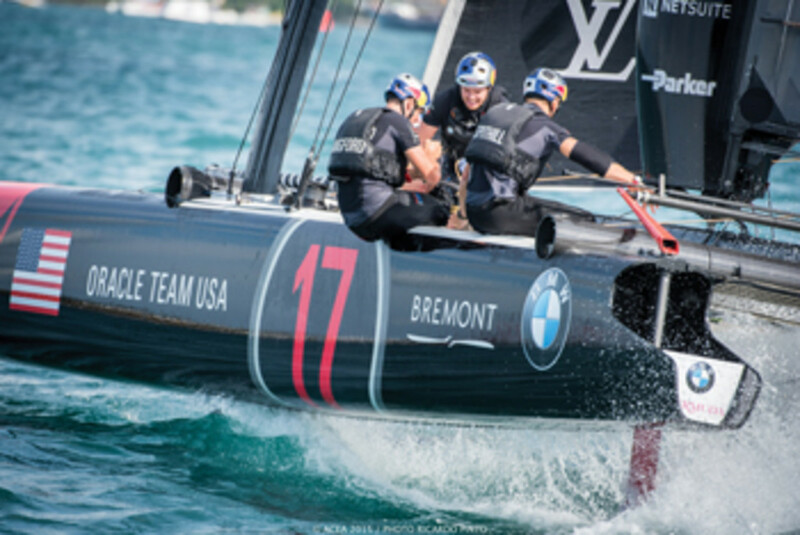 Great Sound will have stadium-style viewing starting with the Louis Vuitton qualifying races, which determine the challenger to defender Oracle Team USA in AC35. Competitors include Artemis Racing (Sweden), captained by Nathan Outteridge; Emirates Team (New Zealand), captained by Glenn Ashby; Groupama Team (France), captained by Franck Cammas; Land Rover BAR (Britain), captained by Ben Ainslie; and SoftBank Team (Japan), captained by Dean Barker. 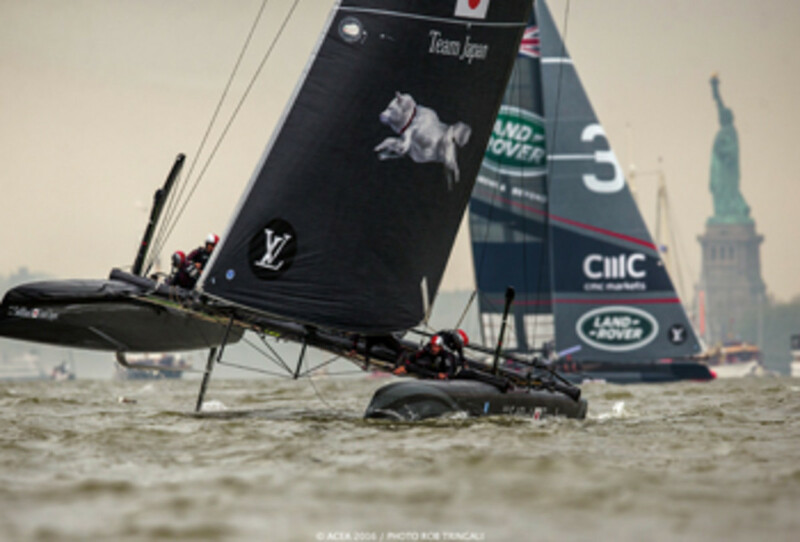 Land Rover BAR won the overall series and goes into the AC35 Louis Vuitton qualifiers with a favored position. The first round robin is expected to last four days. On May 30, the second round will start with the same six teams. The four top scorers will enter the Challenger Playoffs June 4. On June 17, the victor of the Challenger Playoffs will assume the official title of challenger and sail against defender Oracle Team USA for the America’s Cup — and all around them, ACEA will put on a massive show. The on-the-water spectacle begins June 12-15 with the Red Bull Youth America’s Cup, a nation-based series with competing sailors ages 19 to 25. “The Red Bull races are the future of the sport,” says Coutts. “It’s where we are going to find and develop the next generation of AC sailors.” They will sail the same AC45 foiling catamarans used in the Louis Vuitton World Series, with coaching and shore support from ACEA (think Triple-A baseball playoffs alongside the World Series). 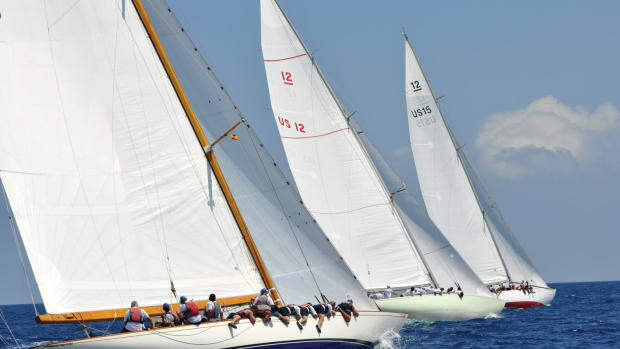 June 13-15 brings the Superyacht Regatta. ACEA is expecting 65 yachts 80 feet and longer to participate in the event, organized by the Royal Bermuda Yacht Club. Based on which yachts attend, the race committee will determine classes for the friendly competition. And on June 16, 19 and 20 — in what promises to be one of the most spectacular sights in recent sailing history — eight J Class yachts will compete. J’s are the dynastic yachts of yesteryear (Shamrock V and Endeavour raced for the America’s Cup in the 1930s), and many yachting enthusiasts know the J Class yachts by name. “Having the J’s will create a spectacular blend between the old and new, showcasing the best of the AC from almost 90 years apart,” Coutts says. The main event — Oracle Team USA defending against the winner of the Challenger Playoffs — is scheduled for June 17 and 18, and June 24-27 (assuming the weather cooperates). The boats racing this year will be smaller than those sailed during AC34 — 49 feet rather than 72 feet length overall — a change made to reduce costs and complexity, allowing more teams to compete. 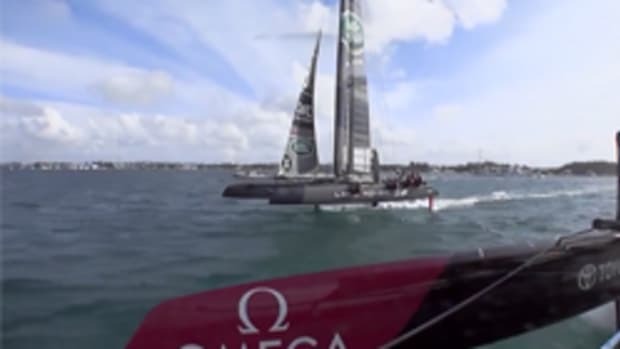 Ainslie has said that he believes his BAR challenger is capable of besting 50 knots. That’s not a typo. And while the AC34 boats only foiled downwind, the AC35 boats are designed to foil upwind, too. Given that a sailing course combines upwind and downwind legs, and applying some simple math, the 35th Cup races should be noticeably faster than those from just a couple of years ago. 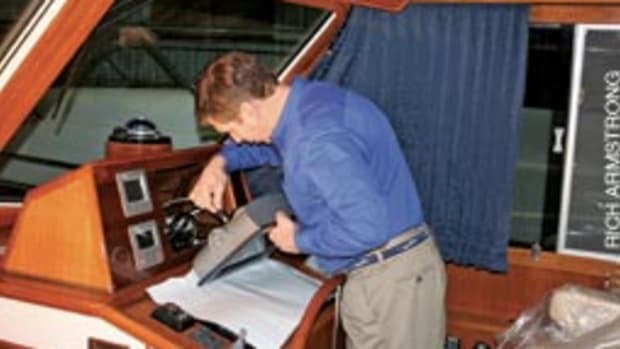 The AC35 boats must be the same overall length, but many other components can be of unique design, specifically the control systems and foiling board shapes, which are more akin to aerospace than yachting technology. Hundreds of thousands of hours (logged at computers, as opposed to testing tanks) are being spent fine-tuning the foils to try to gain an edge, with the boats expected to sail at about three times wind speed. The other variable, of course, is human control of the boats. It’s nice to get up out of the friction-filled water, but how to stay there is another matter. At these speeds, any loss of stability can lead to catastrophe. The impact on hitting the water at 50 knots is more like crashing into concrete than plunging into a pool. All in all, AC35 is going to be a high-tech version of a sailing drag race, with some of the world’s best sailors at the helms.